Apple has sent out press invites for a September 7th event at which the company is expected to unveil the new iPhone 7. It's expected that the iPhone 7 will feature simplified antenna bands, a larger camera, no headphone jack, and a second speaker for stereo audio. The iPhone 7 Plus is expected to get a dual lens camera for better zoom, 3GB of RAM, and possibly a Smart Connector. Other predictions for both devices include water proofing, a new space black color, and a Force Touch Home button with haptic feedback. 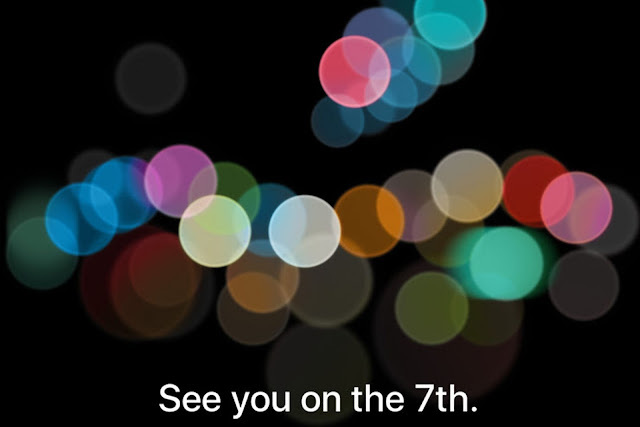 The iPhone 7 should become available for pre-order on September 9th and be released in stores on September 16th.